A bill would end U.S. military support for the Saudi-led efforts in Yemen. Supporters of bipartisan legislation designed to strongly rebuke Saudi Arabia for the role its Crown Prince, Mohammed bin Salman, allegedly played in the death of journalist Jamal Khashoggi, say they believe they have secured enough votes for final passage. While the measure, sponsored by Sens. Mike Lee, R-Utah, Bernie Sanders, I-Vt., and Chris Murphy, D-Conn., makes no mention of Khashoggi, it does call on the administration to end U.S. military support for the Saudi-led coalition fighting a war in Yemen. Because of the nature of the legislation, a war powers resolution which is difficult to amend, those who want to explicitly rebuke MBS - who the CIA has assessed to have ordered the killing of the journalist - say they will now have to wait until early next year. Supporters of the resolution said Thursday that they are confident they have the votes for passage, even though the House is not expected to take it up this session. (Cliff Owen/AP, FILE) Saudi Crown Prince Mohammed bin Salman, center, meets with Defense Secretary Jim Mattis, not pictured, at the Pentagon in Washington, March 22, 2018. 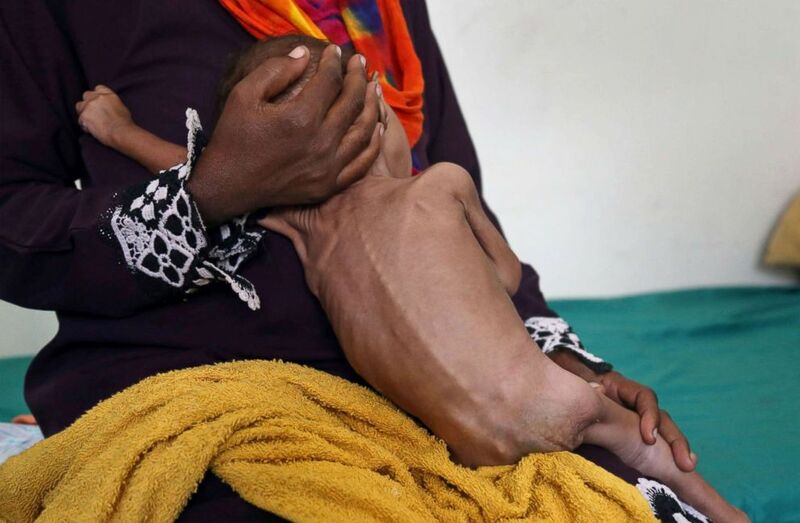 "Look, everybody is aware of the horror of the murder of Khashoggi by the Crown Prince and the Saudi regime, but what we also have to appreciate is that 85,000 children have already starved to death in the last three years in Yemen," Sanders said, adding that, "We need to do everything we can to end hostilities, and I hope we do that next week. 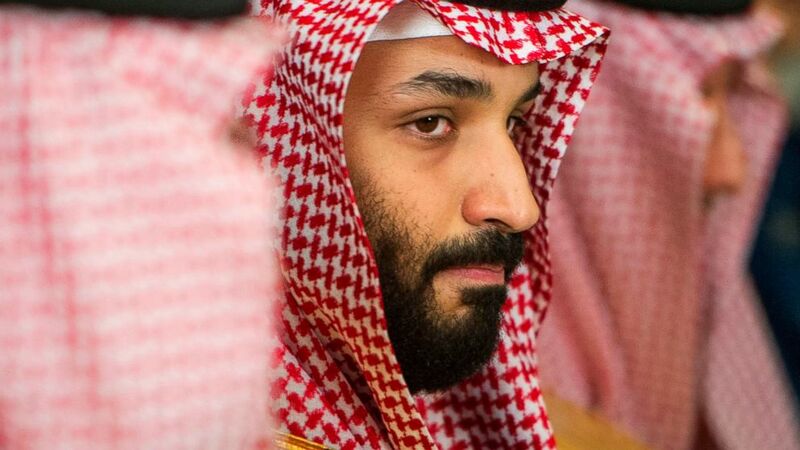 The Crown Prince has to be held responsible for the murder of somebody living in the United States and working as a journalist, but first things first. I think we have the votes to proceed (on his resolution) and I hope we can proceed in an orderly way." The Saudis have denied the crown prince had any involvement. The vote is expected as early as Wednesday, but a spokesman for Majority Leader Mitch McConnell cautioned that nothing will move forward until there is agreement on the structure of the debate and a narrow window of time in which to conduct that business. Leadership is anxious that the Senate floor not get bogged down in the waning days of the lame-duck session. Still, a bipartisan coalition of senators wants to do more, even though they concede that there is no time left in this calendar year to do it. Sen. Todd Young, R-Ind., said that early next week, he also expects the Foreign Relations Committee, of which he is a member, to consider - and possibly modify - his legislation he authored with the panel's top Democrat, Bob Menendez of N.J., and top Trump ally Lindsey Graham, R-S.C., that would impose sanctions, prohibits arms sales and refueling support to the kingdom, and immediately penalize anyone preventing humanitarian aid from getting to those in desperate need in war-ravaged Yemen. "There's no time left this year, but we're going to see if we can all rally around Menendez and Young and then grow the support for the measure to the point where you have a veto-proof majority," said Graham, who predicted Administration push-back. "If nothing else, if we could just roll out a product that could get 60 co-sponsors, that would be a good place to start...It's a product that becomes your jumping off point for next year." Graham said he wanted to make two statements in all of the legislative flurry around Saudi Arabia, "That MBS is complicit (in the Khashoggi killing) and a wrecking ball and that we're going to do something about it - and that means suspending arms sales and support for Yemen." Foreign Relations Committee Chairman Bob Corker, R-Tenn., said he is working with the group to modify the legislation in a way that could gain his support. The retiring chairman said he is also working with leadership to craft a more symbolic measure that would condemn the killing of Khashoggi, though the extent to which it would mention the Crown Prince, known by his initials MBS, was not yet clear. A sizable number of senators on both sides of the aisle have rejected the administration's handling of the Khashoggi killing. The president has said he is not certain that MBS killed Khashoggi, and his secretaries of Defense and State told reporters last week that there is no definitive proof the Saudi crown prince is to blame. Still, senators on both sides of the aisle, after a closed-door CIA briefing this week by Director Gina Haspel, said they had no doubts. "I have zero question in my mind that the Crown Prince MBS ordered the killing, monitored the killing, knew exactly what was happening. Planned it in advance. If he was in front of a jury he would be convicted in 30 minutes. Guilty," Corker said. "There's not a smoking gun, there's a smoking saw," Graham said, referring to the way in which the reporter was believed to have been murdered. "You have to be willfully blind not to come to the conclusion that this was orchestrated and organized by people under the command of MBS and that he was intricately involved in the demise of Mr. Khashoggi," Graham said. "There's a consensus among a lot of us that we want to suspend arms sales and stop support for the war – how do you best do that? We'll see." On Thursday, Defense Secretary James Mattis appeared to leave the door open on blame in the Khashoggi killing, telling reporters on the way to a Defeat-ISIS coalition meeting in Ottawa, “We are continuing to review. I am quite satisfied we will find more evidence of what happened. I just don't know yet what it's going to be or who's going to be implicated, but we will follow it as far as we can."